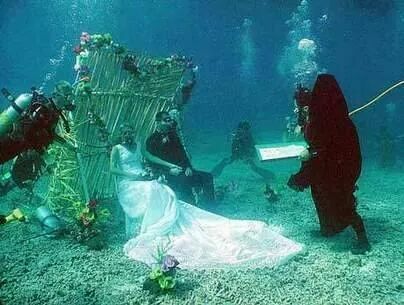 Wedding has gone from the conventional way we use to look at it back then in 18th century to a whole new level. 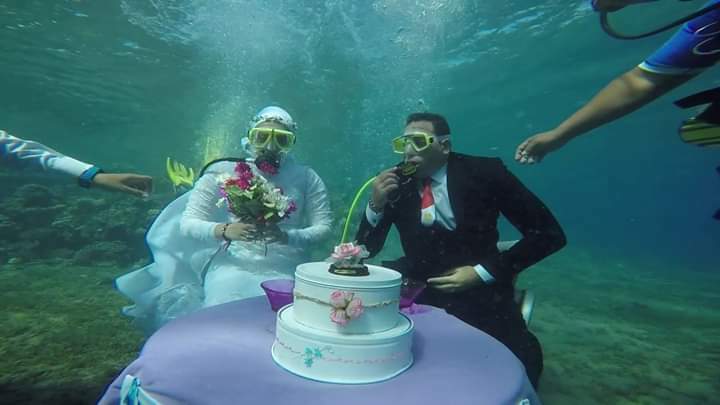 People are now trying different stuffs possible to spice up their wedding. 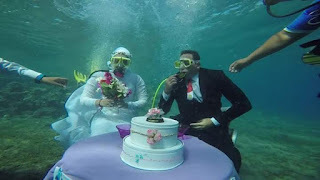 So if you're probably looking for a weird way to spice up your big day, then under water wedding might just be the best option for. 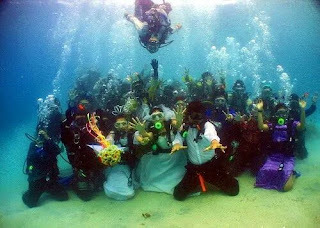 But before we proceed to give you photos from some of the under water wedding we have in our archives, we would like to tell you what underwater wedding entails. 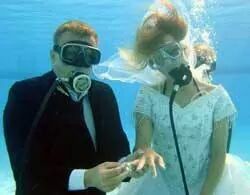 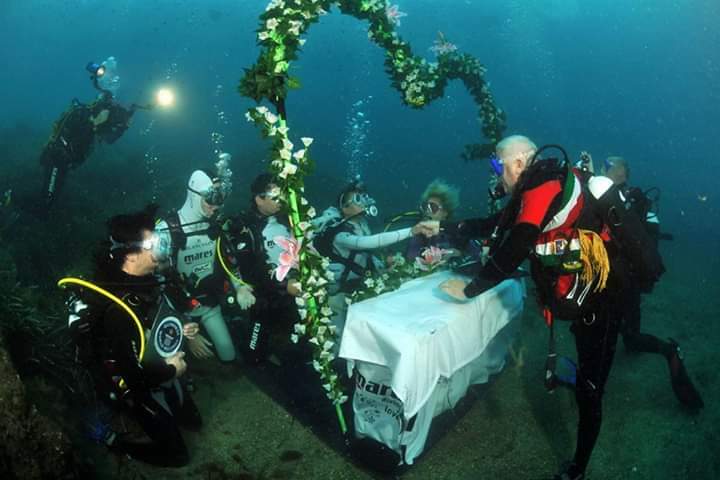 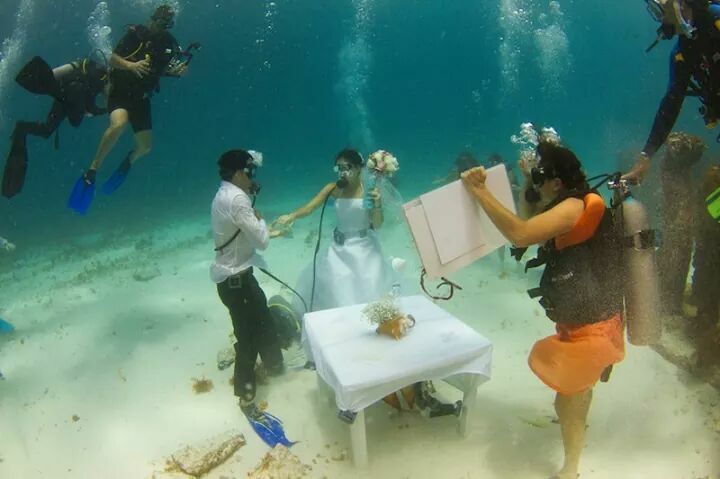 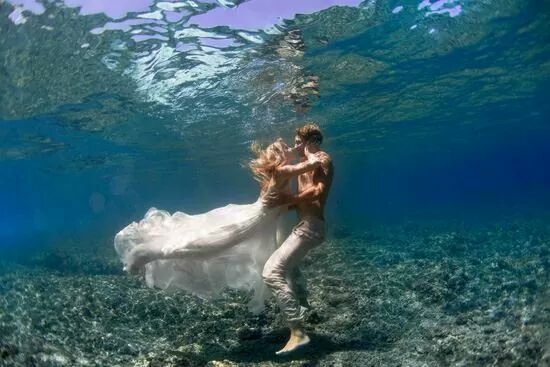 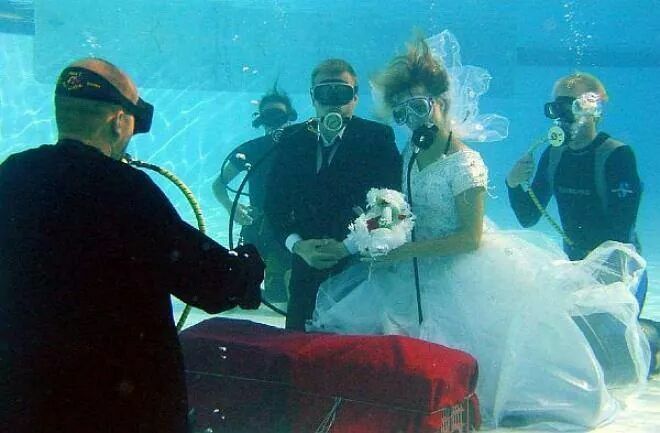 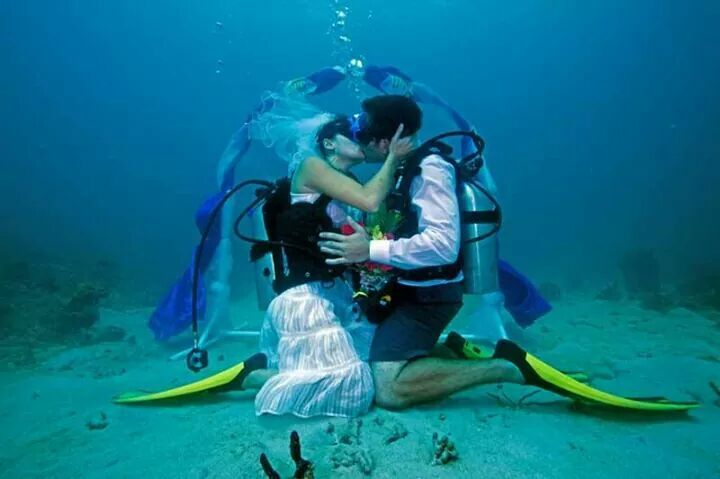 An underwater wedding is a wedding ceremony that usually takes place underwater. 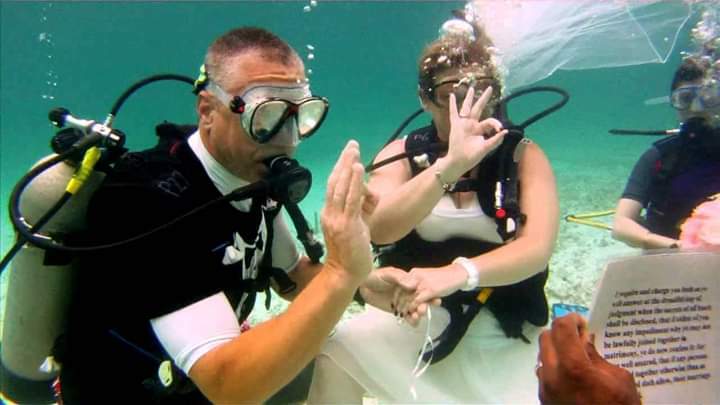 lessons would be necessary for couples who aren’t divers, so that they can be comfortable. 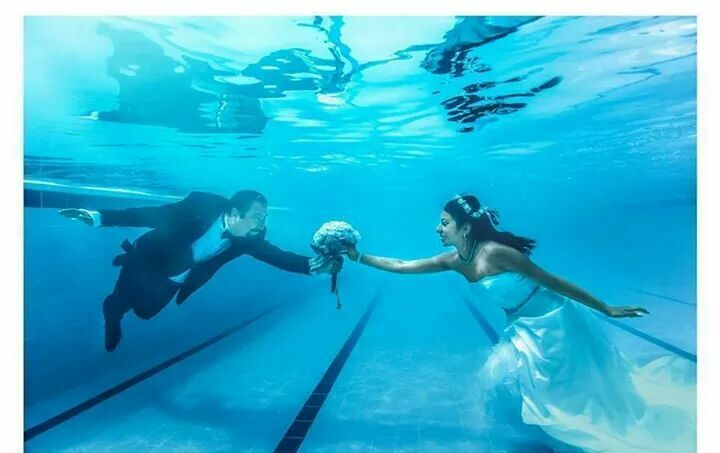 underwater.